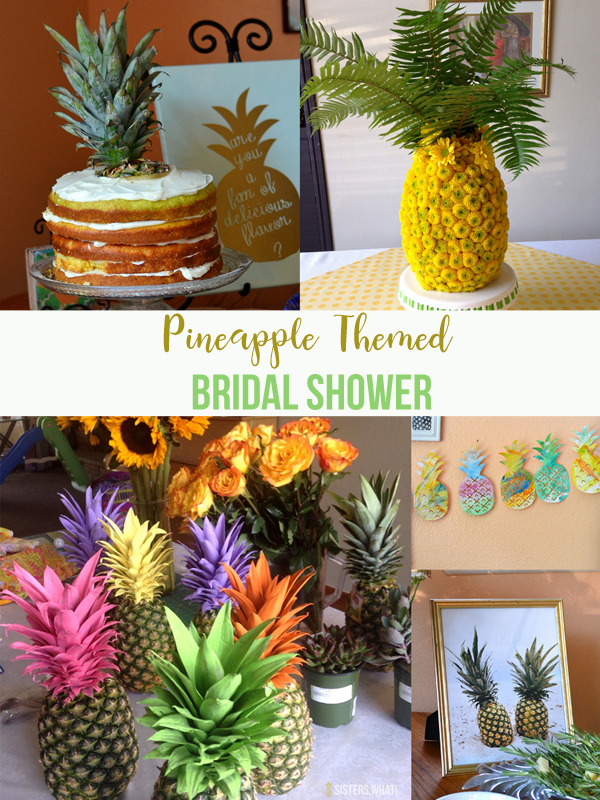 ' |Colorful| Pineapple Themed Bridal Shower - Sisters, What! So happy to say that sister Sierra is finally married and everything went wonderfully! The reception and decor was beautiful and I can't wait to share it on here. Next time Sierra tells me she has no creativity in her bones, I'll just remind her she pulled off a beautiful reception. 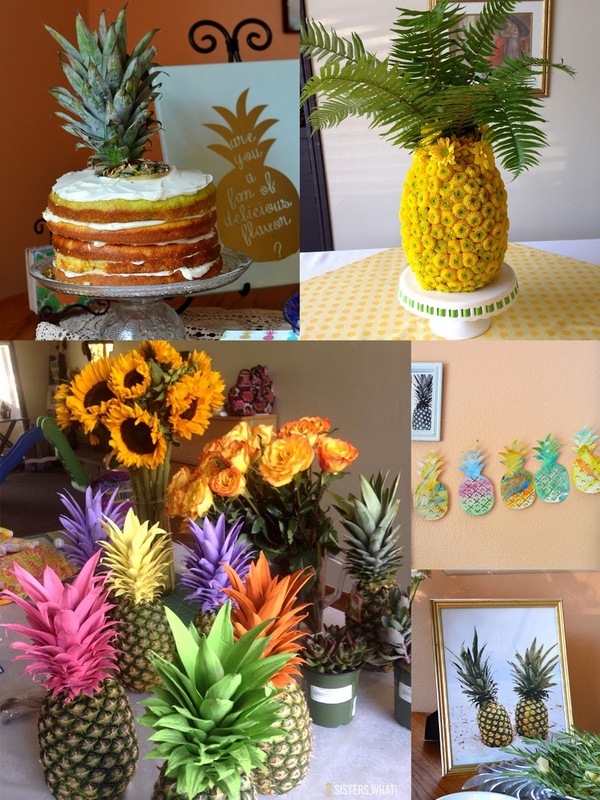 Ok, like I promised, here are the pictures from her second pineapple themed bridal shower (in case you missed it, GO HERE for the first pineapple themed bridal shower) My sister in law loves bright colors and I LOVE what she did to her pineapples. 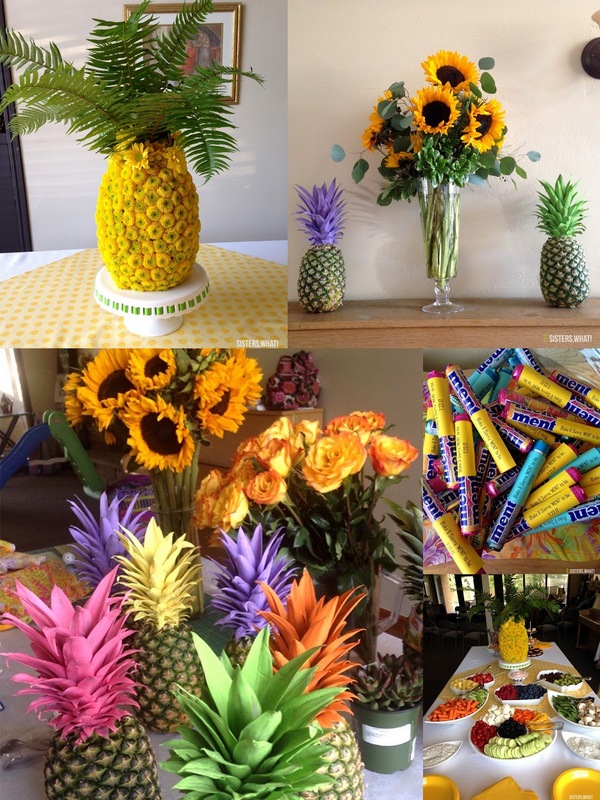 Ok, I'll let the pictures do the talking. 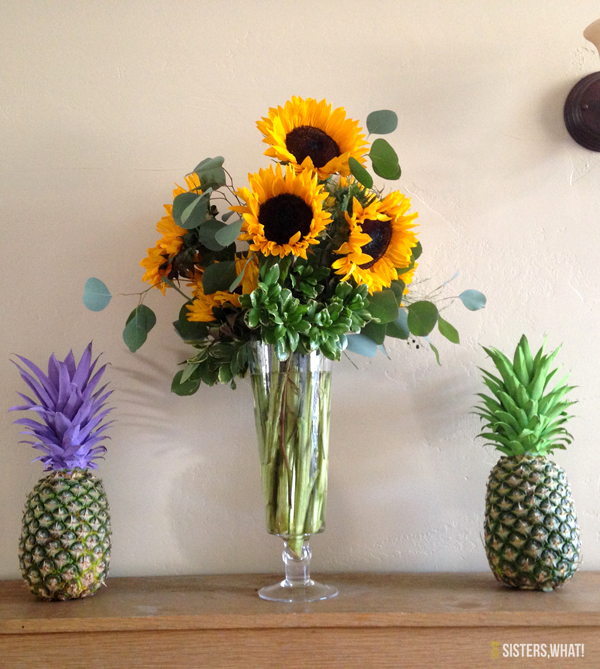 The flowers arrangement was done by her mother Ann Bowen. 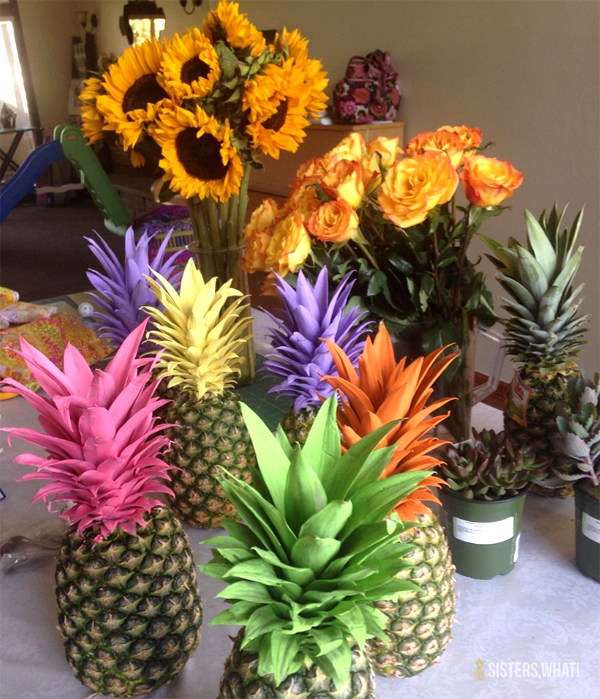 So if you live in the Salt Lake Valley, look her up, she is fantastic!